Reducing the incidence of child abuse and neglect can be addressed through the promotion of positive parenting and effective child management practices that would enhance the well-being and self-esteem of parents and children. This is possible through massive sensitization and engagement of community members, youths, households, opinion leaders, elders in the community as well as local leaders in constructive discussions on prevention of violence against children and adolescents. This is being achieved through working with both youth and women groups from the two sub counties of operation as change agents towards ending violence against children and adolescents as they organize massive sensitization events and engaging in initiatives that are geared towards prevention of violence against children and adolescents. According to the reports obtained from the CDO’s and CFPU’s department on the extend of violence against children and adolescents in the respective sub counties of operation during our visit, it was reported that 16 cases of violence against children were reported in Kisinga sub county while in Karusandara were 21 for the months of May and June and the most reported cases were child neglect, child labor, domestic violence, and assault. Key issues around these figures that needs to be addressed according to the CDO and CFPU included; household poverty, domestic violence, building careers of the adolescents and youths, understanding children’s rights and the adolescents/youth responsibilities towards the prevention of violence against children and adolescents, parent child communication, as well as anger management, law levels of education among the youths which influence the youth’s behaviors and practices towards the prevention of violence against children and adolescents. In regard to the above issues, on 31st August and 01st September 2017 Good Hope Foundation facilitated one youth CBO and one women group in two sub counties of operation to organize two sensitization meetings in the two sub counties. Rural Youth Initiative (RYID) a youth CBO operating in Kisinga was facilitated to organize a youth dialogue on education, career guidance and prevention of violence against children and adolescents at Kiburara primary school where over 60 (23 f and 37m) youths attended and among other people who attended included; Hamasi Assumani the chief administration officer (CAO) Kamwenge district who was the chief guest, Sibenda Godfrey the project director Rwensororo CDC from the children’s ministry, Issac Bwalhuma from Uganda Christian Lawyers fraternity, Masereka Zekayo from Kagando school of nursing, as well as councilors and other local leaders. 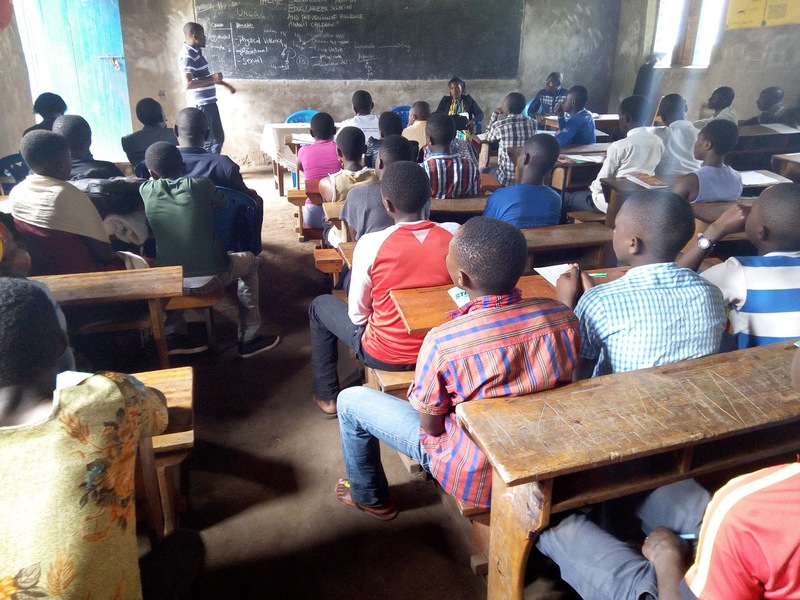 The dialogue was mainly on empowering the youths with knowledge and skills on prevention of violence against children and adolescents and how they can excel in their lives regardless of several challenges they pass through at school, households and in the communities. It was to increase the youth’s sensitivity on issues of violence against children and adolescents since it’s the main cause to law attainment of education among the youth and children. Key topics handled included; career guidance, the concept of violence against children and adolescents and roles and responsibilities of the youths and adolescents towards prevention of violence against children and adolescents. 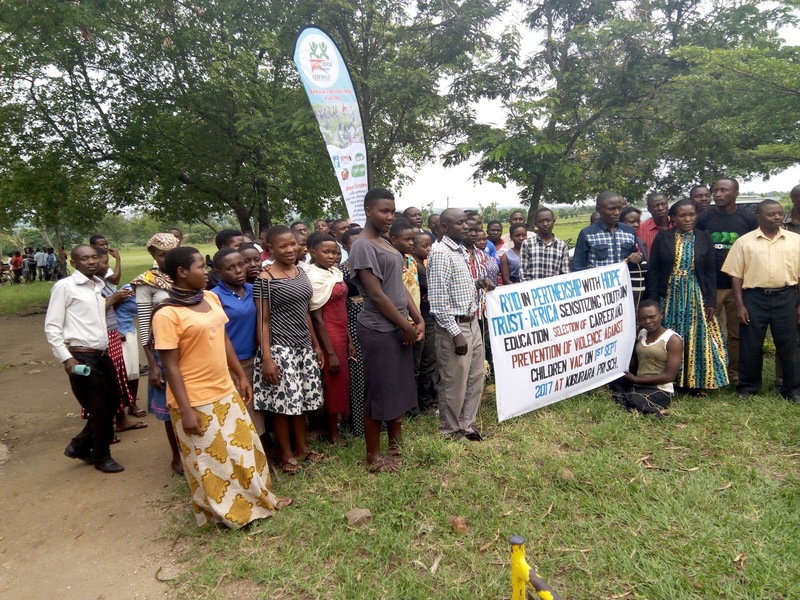 While Kanamba women group a CBO located in Karusandara Sub County organized music dance and drama at Kabaka trading center karusandara Sub County which was intended to sensitize the community members on prevention of violence against children and adolescents. Over 134 (72f and 62m) people attended the event. Among other people who attended included; the district women councilor, parish councilors, religious leaders, assistant CDO as well as other local leaders. The group sensitized the community on how children are violated, the effects of violence against children and what the community, households, religious leaders, teachers, children, and local leaders are supposed to do in order to end violence against children and adolescents in the homes, communities and at school. · The youth and adolescents were called upon to have respect to themselves, to their parents, elders and to their young sisters and brothers in order for them not to be violated and not to cause violation to the youth ones. · The youths were also called upon to work closely with their parents in bringing about development in their homes. 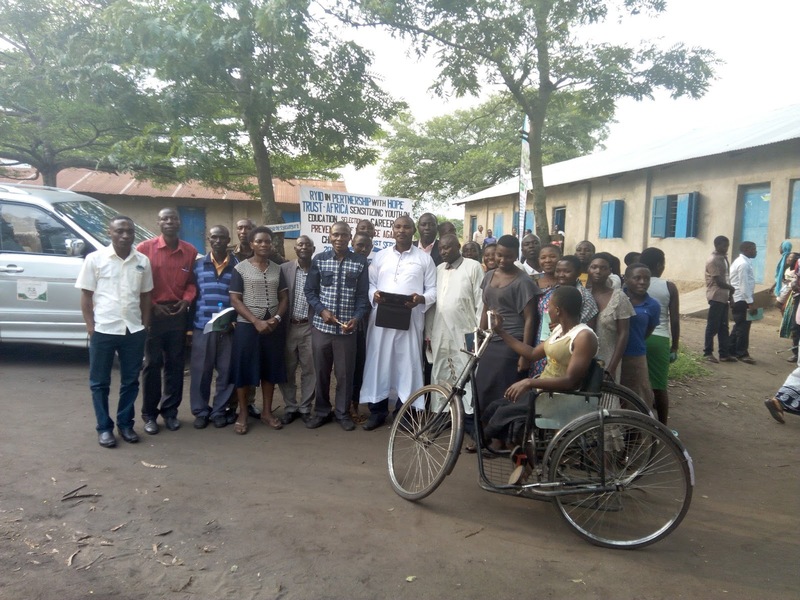 · They were also advised to be God fearing youths and adolescents as this will protect them from engaging in acts that increase violence against them and against the young ones. · Religious leaders, teachers, paralegals and the elders to be involved in mobilizing community members towards preventing violence against children and adolescents especially instilling good parenting skills as well as popularizing the bi-laws of the sub county.